If you're looking to buy a tablet either for your little one or to share with them, there are options that both kids and parents will be happy with. Here are our favorites. Why we like it: Amazon offers, hands-down, the best parental controls you'll find on a full-featured tablet. Their FreeTime features allows parents to control what kids can access and fine-tune the amount of screen time their child is allowed by restricting the amount of time can be used by category (for example, you could limit games to an hour but allow unlimited access to reading). Amazon also offers the FreeTime Unlimited subscription service, which gives your child unlimited access to books, games, educational apps, television, and movies that are all appropriate for kids ages 3-8, without ads or in-app purchases for parents to be concerned about. Starting at $4.99 a month, it's a lot of kid-friendly entertainment for the cost. Why you might not like it: If you have an older child who's not likely to be interested in FreeTime Unlimited, you might want to consider an iPad instead. Its parental controls aren't as good as Amazon's, but it offers a wider range of educational apps and entertainment options. Why we like it: Though the iPad 2 doesn't have the latest generation iPad's Retina display, it has all of the features you'd expect of an iPad at a more reasonable cost than the latest generation, making it a decent option for the kids. (Though you should certainly invest in a protective case.) While not allowing as much control as Amazon's FreeTime, the iPad does have fairly solid parental controls which allow you to restrict access to apps, features and settings. And the App Store offers an extensive array of education apps for kids of any age. Why you might not like it: While it may cost less than the iPad, it's still pricey. 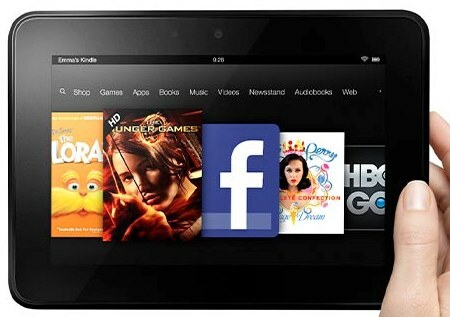 If you have younger children, the Kindle Fire or Kindle Fire HD will be much more appealing with its FreeTime Unlimited offerings.